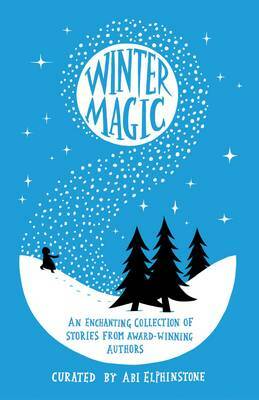 Winter Magic arrived at my house just before I set off for an Inkpots after school club, so I took it with me. On the spur of the moment, I decided to read some if the introduction out loud to the group. This isn’t something I usually do but there is this lovely book lends itself to reading within a group. And you couldn’t hear a pin drop. It was quite a magical – a winter magical – moment. Abi Elphinstone has curated this set of stories which all have a winter theme and are written by some wonderful authors. There are dragons, dashes through snow, challenges and tests, mysterious taxi journeys and perilous travels. The joy of a collection of short stories is that the reader is given such an array of styles – and there are many here. One of our young readers didn’t particularly like one but it led to a discussion about how it’s okay to have an opinion – and she could move on to find stories which did enchant her. Particular favourites at Inkpots were ‘A night at the Frost Fair’ by Emma Carroll, ‘The magic of Midwinter’ by Amy Alward, ‘A room with a mountain view’ by Lauren St John and, of course, ‘The Snow Dragon by Abi Elphinstone. As I am writing this review, snow is starting to fall outside and the wind is whipping around my house. Perfect weather for making a hot chocolate and curling up with Winter Magic. Inkpots children are also reading this book and their comments will added soon.